Contact: Contact Info in Profile. Deveaux has a reputation for ruthlessness, keen business dealings, and a knack for politics. They play the game subtly but skillfully, often letting their successes speak for themselves rather than flaunting every little thing. This makes the rare occasions on which Deveaux makes an openly bold move even more shocking; such displays are usually not their style. They are also cold and efficient: disturbances are dealt with quickly and cleanly, and they always clean up their messes. Deveaux has substantial holdings across the Final Empire. Its prime competitor in the Northern Dominance, Martel, is a shadow of its former self. This shows you just what Deveaux is capable of: the utter destruction of anything which stands in its way. Their focused business strategies in these times of crisis have lent them substantial wealth. It is a House full of smart, ruthless individuals, who have no remorse when it comes to human costs. It doesn't matter if those who are harmed are inside Deveaux or are Deveaux's enemies. People are merely tools to Deveauxs. For some unfathomable reason, its members are the most zealous with their duty to Deveaux. Beware dealings with Deveaux. They will betray you if you are not completely with them. They betrayed House Venture long ago, though it seems with Nevan Venture and Camille Deveaux courting, they may just repair the damage between those Houses. I can't imagine why the idiot Ventures can stand to deal with them, however. Tread carefully if you intend to fight against this probable Venture-Deveaux alliance, old friend. Cripple it before it becomes to fruition, but do not get targeted from the Deveauxs, lest you want everything you hold dear to you annihilated. Deveaux's prime weakness is through its marriage alliance with Casuana, a fact which should be exploited to great effect. But its weaknesses are few, compared to its strengths. For its ruthlessness, determination, resources, and the horror of a Deveaux-Casuana-Venture faction, I assess a Danger Rating of AAA. Financial Avenue: House Deveaux makes its living primarily through the mining, refinement, and sale of metals, particularly those used in Allomancy. While Deveaux merchants do sell metals to outside refineries and armories, most of their fortune comes from their dominance of the market for Allomantic metals in and around the Central and Northern Dominances, particularly Luthadel and their native home of Urteau, where many Deveaux nobles still live and thrive. Most legitimate metals merchants in these areas are either Deveaux themselves or include Deveaux metals in their wares. Deveaux mining operations also uncover a good amount of coal, gems, and non-Allomantic metals, which they sell to various allies for additional profits. -Venture – [Ally] – Venture and Deveaux have been working hard to repair a strong relationship that was damaged 25 years go. Newly reestablished trade agreements have built a fledgling alliance once again, and the two houses are hoping to seal the deal with a marriage. -Elariel – [Neutral] – Elariel's policy of neutrality is just one of the factors keeping relations peaceful between these two houses. -Sureau – [Enemy] – There has been bad blood between these two families ever since the murder of Deveaux some years ago; Deveaux's reestablished alliance with Sureau's archenemy, Venture, hasn't helped things between Sureau and Deveaux, either. -Hasting – [Enemy] – This is more of a second-hand rivalry. Hasting is a sworn ally of Sureau, making them an enemy to Deveaux. In addition, Hasting is a competitor with Casuana in the Southern Dominance's weapons market (and now Central Dominance's market as well), making them a rival with Casuana. With the Casuana-Deveaux alliance being so strong, it's only natural that a rivalry would begin to grow between Deveaux and Hasting as well, particularly since the Casuana-Deveaux alliance keeps high-quality Deveaux metals out of Hasting refineries. 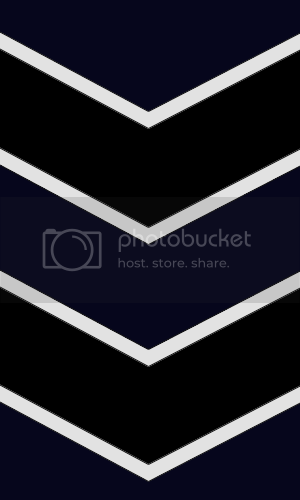 -Tekiel – [Negative] – Relations with this fringe member of the Sureau Coalition are tense, but are more workable than with the Hastings or the Sureaus. -Casuana – [Ally] – Casuana is one of Deveaux's closest allies for more than one reason: not only does Casuana have a near-exclusive supply contract with Deveaux, but - most importantly - its current leader, Mia Casuana, was born a Deveaux. -Lekal – [Neutral] – These two houses used to be unfriendly, but since Lekal left the Sureau Coalition some time ago, that was a big enough point in their favor to return the balance to neutral status. Not much of note has happened between these two houses since. -Raisaal – [Neutral] – This Great House is too new to the political scene to have tipped the scales in one direction or the other. Relations are workable but hesitant until Deveaux can get a read on Raisaal's intentions. -Fathvell – [Negative] – Fathvell is allied with Sureau, tipping the scales in the favor of negativity, but Deveaux doesn't see Fathvell as enough of a threat to consider them true enemies. Fathvell, at their current strength, has no desire to attempt to prove Deveaux wrong. 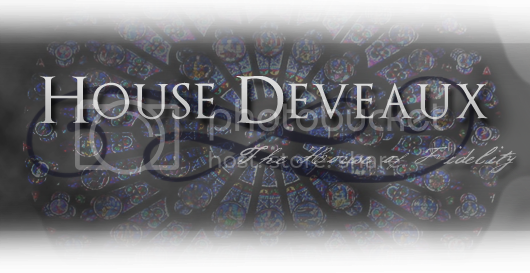 -Devereux – [Ally] – Vassal House – Deveaux bought out their cousin house some time ago, subsuming all Devereux property and operations into their own holdings. -Ollivier – [Ally] – This Luthadel-based House operates shipping and trade routes all over the Final Empire; their cooperation with Deveaux since the latter first expanded into Central Dominance has made the two long-standing allies. -Damerell – [Ally] – The long-standing contract that gives Damerell the right to oversee all of Deveaux's shipping in the Northern Dominance has made a strong alliance out of the two Houses. Damerell has become very prosperous thanks in large part to this deal (and the stability such a contract with a Great House would provide), and they fulfill their end of the bargain in such a way that Deveaux hasn't even considered replacing them. -Vaudin – [Ally] – Vaudin attorneys have represented Deveaux's legal interests for generations, and the prosperity this has brought them has given them good reason to formalize an alliance. -Wintersett – [Friendly] – Since Deveaux's efforts to expand could very well save their House from financial ruin, Wintersett has very good reason to cultivate an alliance with Deveaux. -Brehaut – [Unfriendly] – This relationship began as more of a financial rivalry than one of a political nature. Brehaut has also made a bid for the Wintersett contract, making them a competitor with Deveaux for influence in the West. Brehaut's strong alliance with Hasting doesn't improve their relationship with Deveaux, either. -Martel – [Enemy] – This Urteau-based House has been a competitor with Deveaux in the metals market for generations. The fact that Deveaux seized the advantage and became a Great House – taking many of Martel's contracts with it – while Martel remains in Urteau has created something of a lopsided contention between the two Houses: where Martel sees a bitter rival, Deveaux sees an annoyance and a competitor. Unbeknownst to Martel (or anyone outside Deveaux), Deveaux has been looking for an opportunity to undermine Martel – and subsequently buy out their mines and operations – for years. Canton of Finance - Through the Canton of Finance, House Deveaux provides metals for use by the Ministry's Allomancers for a discounted price (and the stability that comes with a Ministry contract). They also sell large amounts of aluminum and duralumin to the Ministry, but they haven't a clue what these metals are actually used for. House Venture - House Deveaux provides Allomantic metals for House Venture in return for a (slightly) discounted price compared to the rest of the market and rebuilding the alliance. Deveaux also sells Venture coal tar for use in making dyes. House Casuana - House Casuana gets most of the metal for their weapons and coal for their forges from Deveaux mining operations, as well as metals for their Allomancers. Meanwhile, Deveaux buys their weapons from Casuana. House Damerell - This prosperous, Urteau-based House ships Deveaux metals to merchants and contracts all over the Northern Dominance, and has been taking more responsibility for shipping them into Luthadel as well. House Eston - This Luthadel-based mercantile House has a long-standing agreement with House Deveaux: when Eston deals in Allomantic metals, their wares are exclusively Deveaux products. A good portion of any metal bought and sold for raw materials comes from Deveaux mines as well. House Wintersett - Deveaux is in negotiation with the financially struggling House Wintersett to purchase their mines in the Western Dominance. According to the contract, Deveaux would own the mines, and Wintersett would continue managing the operations there. House Ollivier - Damerell may supervise Deveaux shipping operations across Northern Dominance and into Luthadel, but both Houses rely extensively on Ollivier shipping routes (particularly in and across the Central Dominance, where Damerell has fewer exclusive routes than they do in the North), and will even more so if the Wintersett purchase goes through. House Vautier - Deveaux sells metals and gems to Vautier in exchange for a suitable price and a discount on all jewelry Deveaux purchases from Vautier merchants. Keep Deveaux was constructed for two things: grandeur, and politicking. The massive building, several stories tall, is constructed out of dark stone and utilizes flying buttresses to soar to extraordinary heights above Luthadel. Even the outer stonework of the building is exquisite; intricate detail work can be found everywhere on the structure, from carvings in the buttresses themselves to ornamentation placed with painstaking attention to detail and aesthetics. A massive rose window above the main entrance casts its light all over the entry hall, while intricately carved and detailed pointed arches and vaulted ceilings evoke an image of grandeur. Many of the Keep's windows feature stained glass detailing, though the majority of that can – of course – be found in the Grand Ballroom. This great chamber is absolutely massive. It runs straight back from the rear of the entry hall and opens up into a wide, cavernous space that is at least twice as long as it is wide. The massive vaulted ceilings reach all the way to the upper floor, and the defining feature of Keep Deveaux: for while most Keeps display their stained glass in windows on the walls (and Deveaux does have its share of those), Keep Deveaux reserved its most exquisite works for someplace rather unusual. At the very pinnacle of the ceiling is a massive multi-panel window depicting the Lord Ruler's defeat of the Deepness, while other panels display wonders and beauties the Lord Ruler's theology teaches of. Unknown to most, the ceiling is lit by limelights hung supported by an intricate network of scaffolds in the Ballroom's secret “attic”. Huge, intricately carved pillars along the outer edge of the room, spaced between the stained glass windows, support the huge structure without interrupting the flow of traffic, and the floor itself is divided into two tiers: the main floor takes up most of the space, but reaching down each side of the room (not at either end) there is a higher, railed tier with comfortable seating where guests can look out over the crowds and watch the dancing without retiring to the upper levels. Short staircases placed at regular intervals allow easy access to and from this area. One reaches the main tier by entering from the Entry Hall and stepping out onto the receiving balcony, then proceding down a wide staircase from there when announced. At the far end of the Hall, rising directly from the main floor, is a raised platform for the orchestra, behind which is the balcony where the High Table sits, conveniently protected from eavesdroppers by its own height and the noise of the musicians. One can reach this balcony by one of two elegantly curved staircases that reach down to the main floor, or – in the case of Deveaux nobles themselves – side passages that lead directly out onto the balcony and are kept under heavy guard during balls. The walls of the Grand Ballroom are, of course, lined with panel after panel of stained glass windows, which – though outdone by the ceiling windows – are magnificent in their own right. There are a couple staircases tucked into the corners by which one can climb about halfway to the top of the Ballroom and reach a wide balcony at either end of the great chamber in order to enjoy the view, socialize, or simply rest one's feet on the comfortable chairs and couches. There are no balconies along the sides of the room in order to provide uninterrupted viewing of the stained glass windows. On certain occasions, the balcony above the High Table has been known to be closed off to most guests, the guards allowing only those with access to the High Table onto that particular balcony.